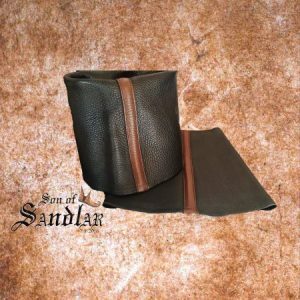 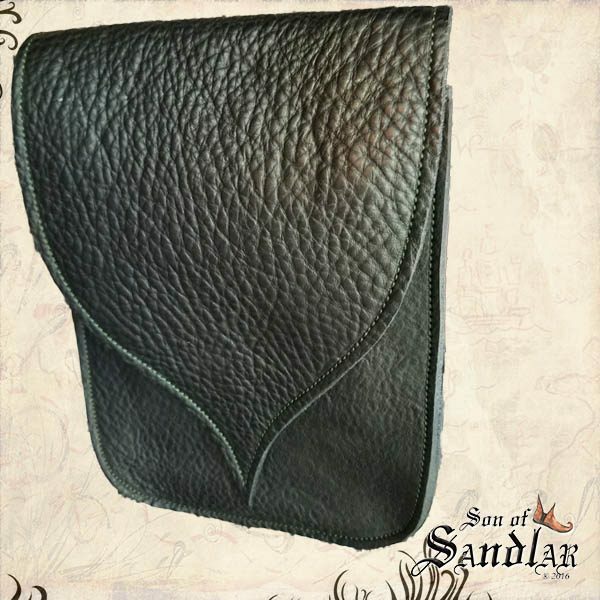 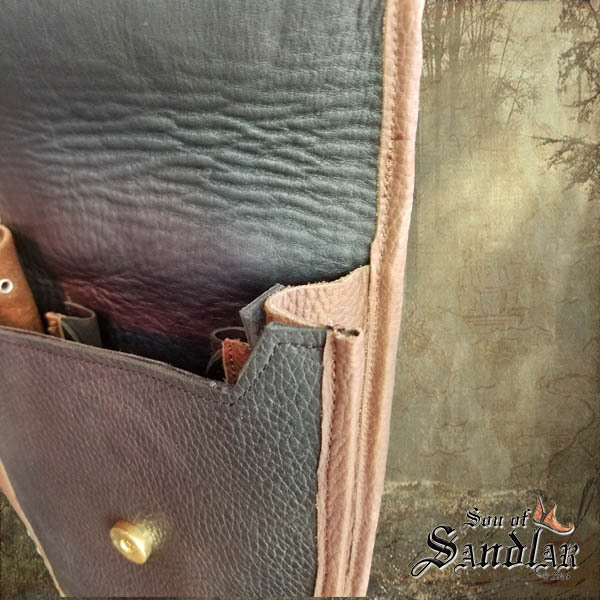 Our large leather pouch has two exterior swivel clasps making it suitable for a side pouch on the hip or as an over the shoulder hanging bag. 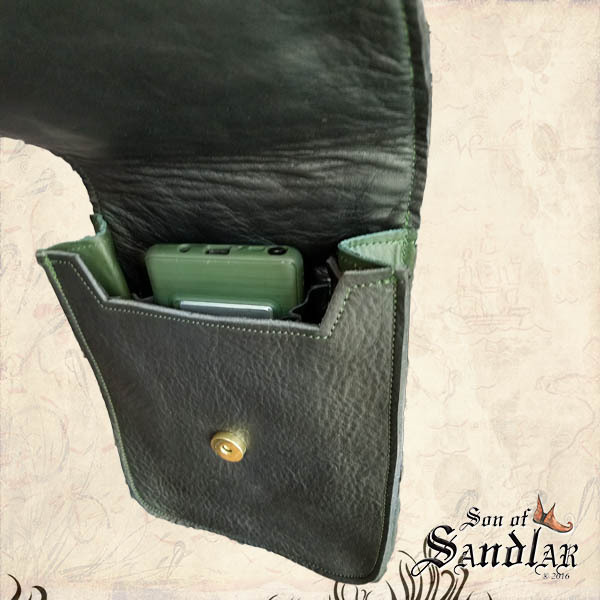 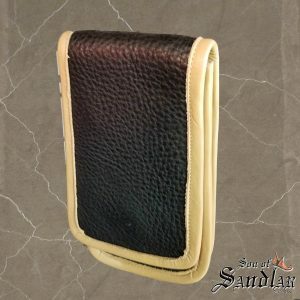 The interior contains a phone pocket, wallet dividers, and a keychain clip. 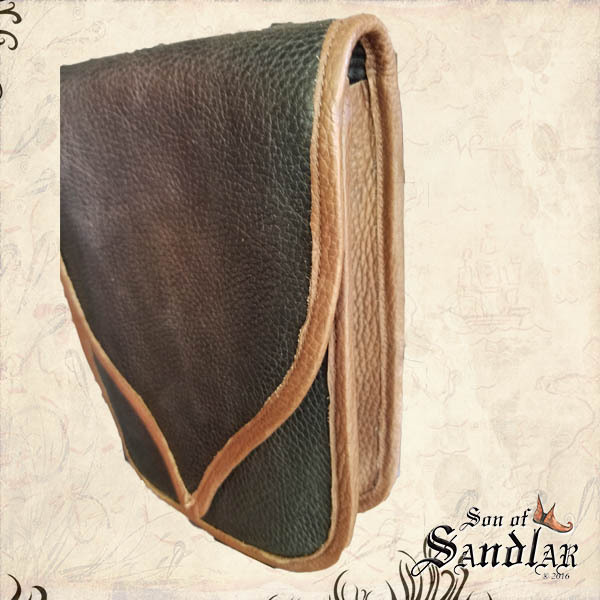 The exterior has two swivel clasps for attaching to straps or belts anchors.